How to change heads on the Ellowynes! I did it! In December. I wrote about wanting to do it in a blog last summer. I'll write it up soon with more photos! These dolls want to get back in action! 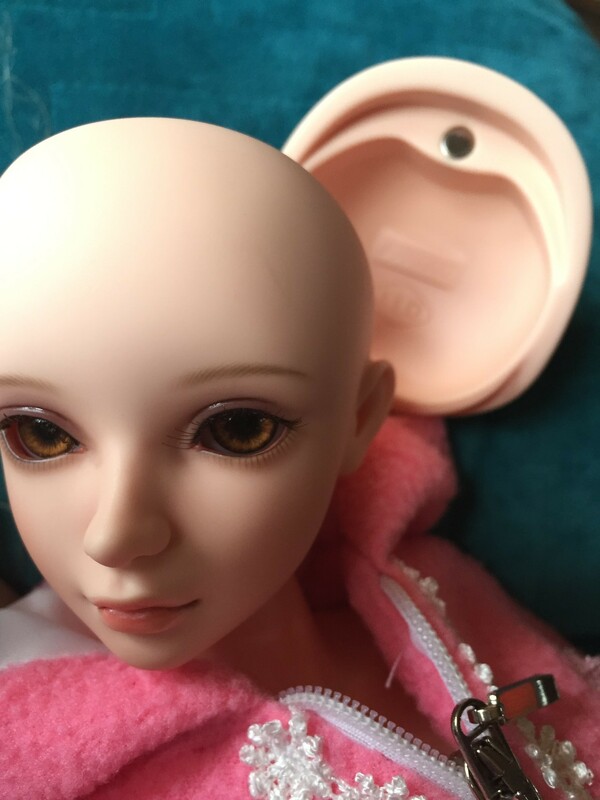 I have also scrubbed dolls, removed stains, washed and conditioned rooted hair and wigs on lots of dolls now, and changed bjd eyes several times. 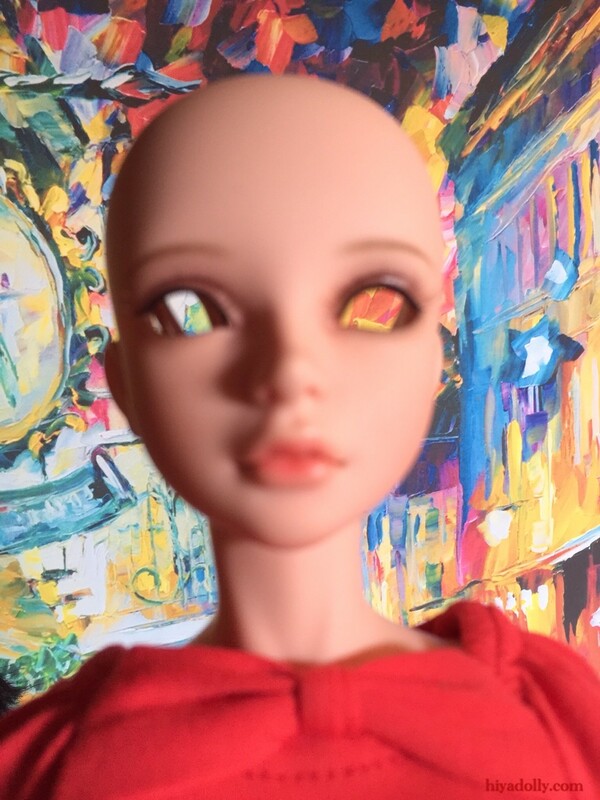 I have ordered Judikins eye glaze and I am testing my acrylic paints soon, to try some doll eye painting for myself. Wotta deal! I was so excited to get a BAG of dolls for such a low price! Every one of the dolls was naked. That's okay. But when I got home I found that every doll, all 10, had no left foot. What!? Who would do that? Why? On Hiya Dolly this week? I am immersed in learning enough features on this software to make the cost effective! And relieve my mind if disaster strikes one of my devices. The process is pretty labor intensive. Daily photos means daily attention, so I have to choose sometimes-sweep or photo sort, clean the attic or create a photo story. Several months ago I asked my photographer daughter how she organizes her photos. Photoshop, mom, she said-with "of course" in her voice. Not me, I thought. It is too challenging for me right now. So I used the album sorting feature on my iPad and downloaded CopyTrans to get my sorted albums over to my laptop, where I could then watermark them and add story bubbles in Comic Life. After a couple of weeks of photo-process-uncertainty, I explored Photoshop, and researched Lightroom capabilities, felt stirrings of excitement at the possibilities, and took the plunge. And now I have a year to make it all worthwhile. As I spent my weekend listening to and reading Lightroom tutorials, and tried out some of the features, I began to understand how it could be of use to me. And just like the people who buy a laptop just so they can email their family and friends, I have found the one feature that will make the whole purchase and hours of learning time worthwhile. And that was just in one weekend. What can I do in a whole year? I am trying not to get dizzy. As I write this I am double tasking by setting up Lightroom on my iPhone, where I take all my photos. And I am "importing" my most recent photos into Lightroom where I can set them up in Collections, manipulate them, flag them, and export them to my hard drive ready to watermark and add talk bubbles, and upload for you, dear reader. But, maybe, just maybe, it will change my life. Or, at least shorten my photo process by a step or two so I can get the attic cleaned before the snow flies. And if my smashed iPad screen causes that device to stop working one day, my work might not be sent into a confused upheaval accompanied by deep emotional upset. 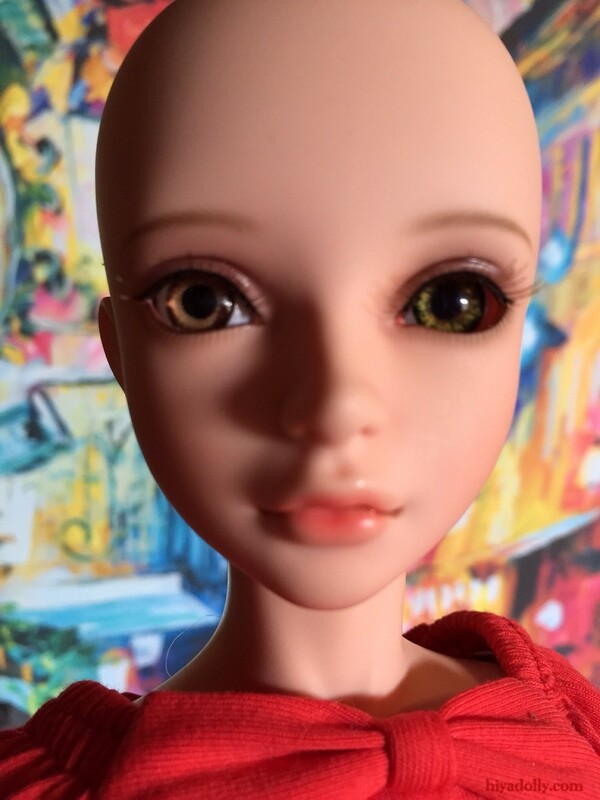 Do you keep your dolls in their boxes? in glass cases? in darkened rooms? 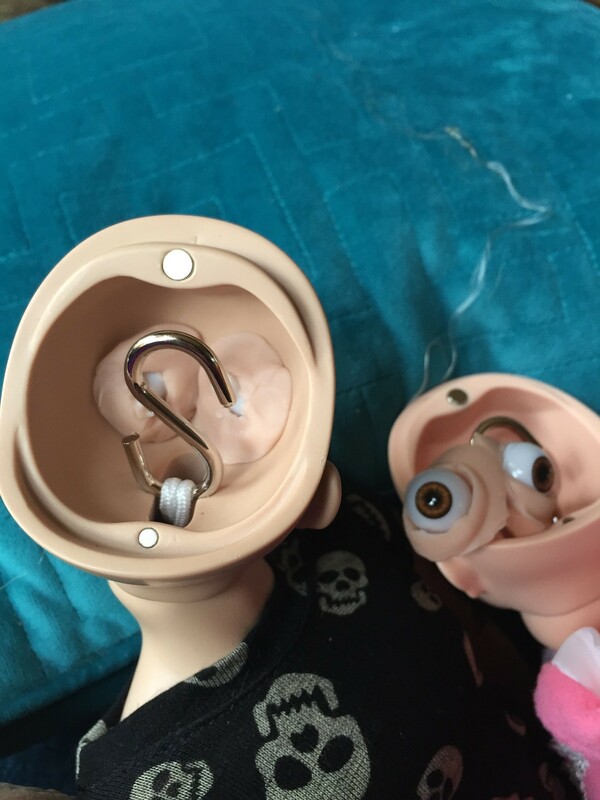 *Keep pets away from the areas you use to store your dolls, or use your dolls. *Prevent small children from unsupervised play with dolls you choose to preserve (keep crayons in a separate room!) 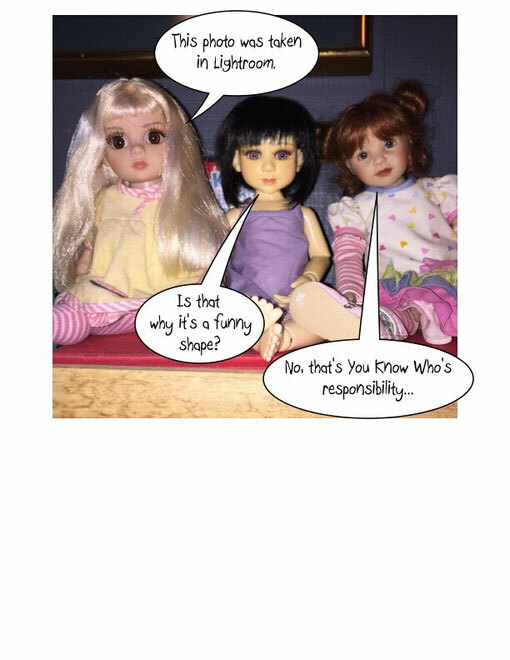 If you choose, bring the dolls out for special times to develop respectful use of certain dolls. Great teaching time! 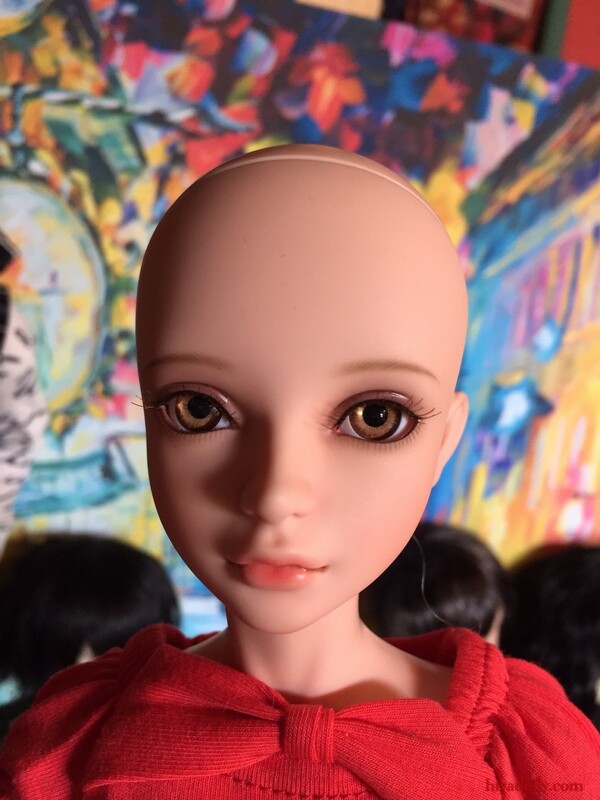 *Be sure your hands are clean when you handle your dolls. Use cotton gloves to handle dolls if you have fragile vintage dolls, or any doll you want kept in pristine condition. 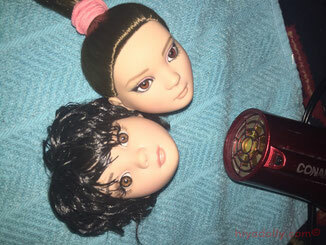 *Cover dolls with a soft cloth or keep them in enclosed shelves to keep dust off. 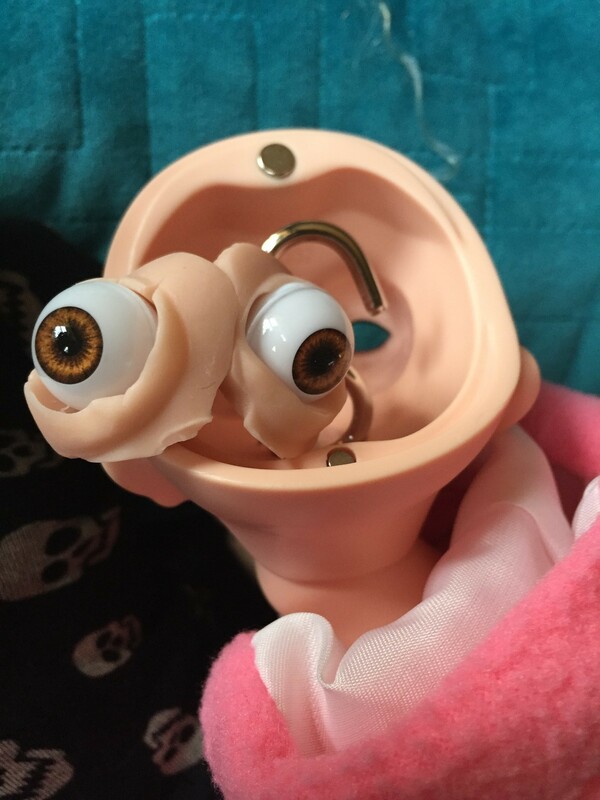 There are a lot of creative, attractive and unique ways to store or display your doll collections. 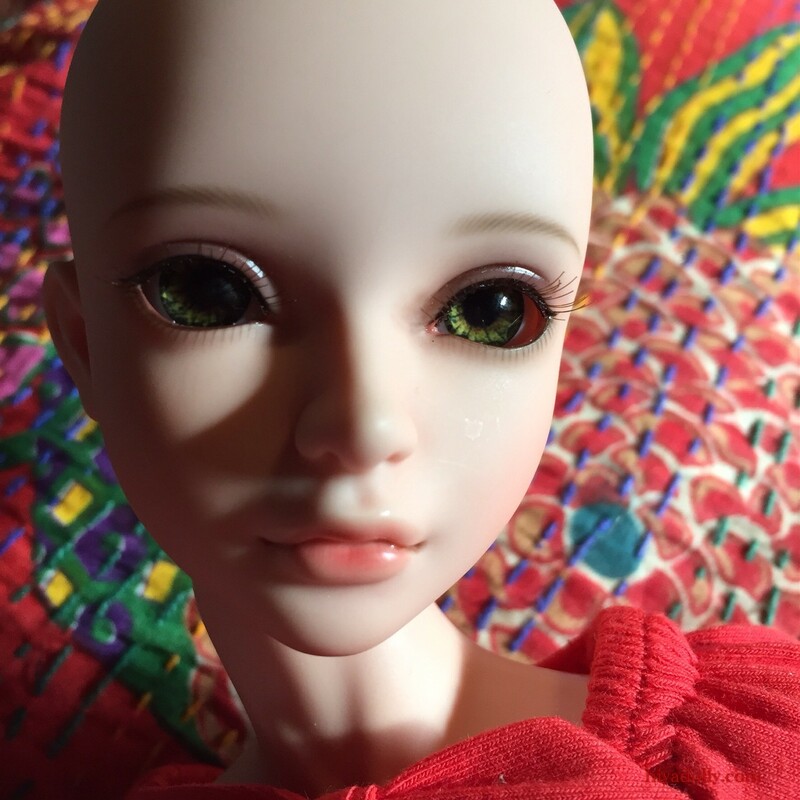 The best advice I have been given is to be sure you love the dolls you pursue, or enjoy the process, or both. Doll lovers all have particular reasons why they gather these little (and not so little) replicas of humans and creatures. For some collectors the value is important. For some it is "vintage", or "modern" that is important. 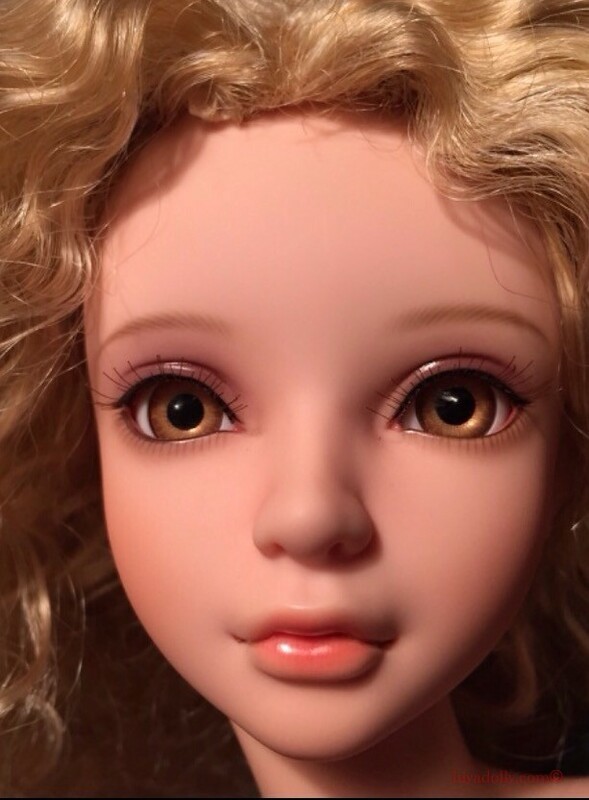 For some it is the dolls by particular doll designers they pursue. For some it is the motivation to express a skill-such as sewing, knitting, repainting, or photography. 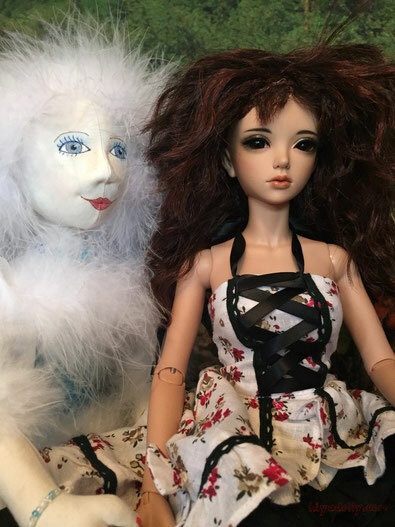 Doll collecting can be the way to a career, a method of supporting a family, a legacy for your children, a reason for social interaction, or a simple hobby. Whatever is the reason we do it, doll collecting offers a promise of some kind of satisfaction. Here are some you might try! 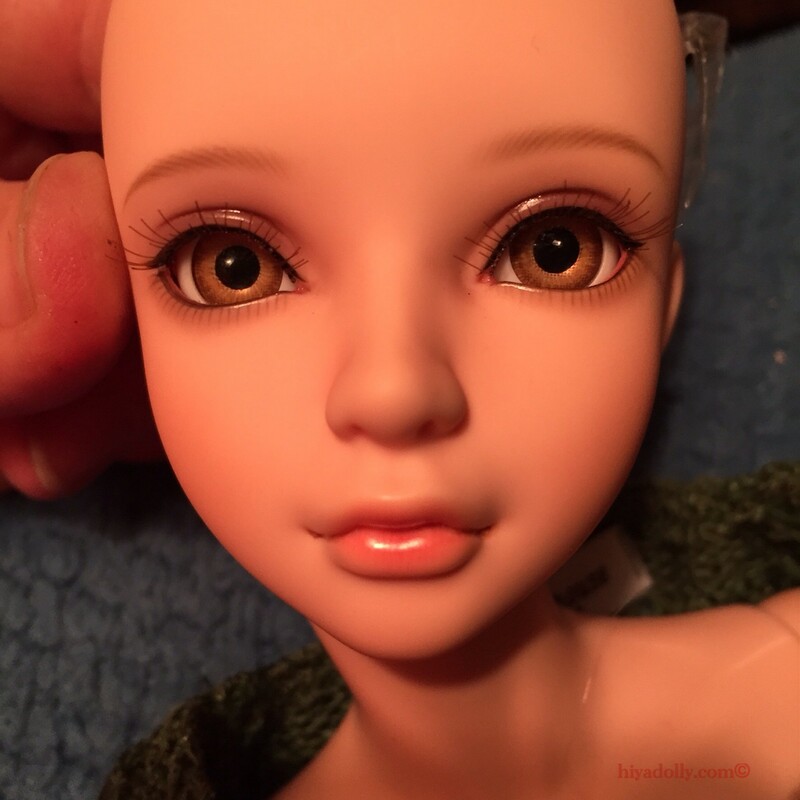 Looking for info on dolls in general? This site is a good one to check out. 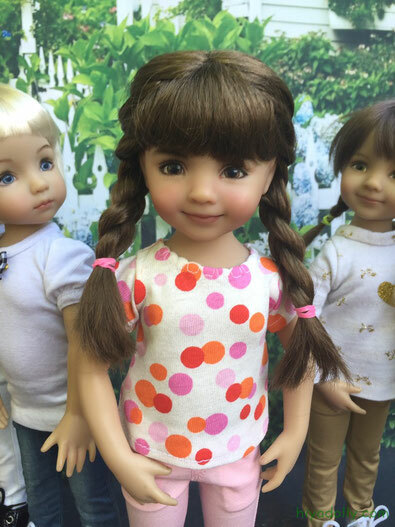 "Welcome to Doll Diaries where you will find the latest news, reviews, activities and giveaways for doll lovers of all ages." 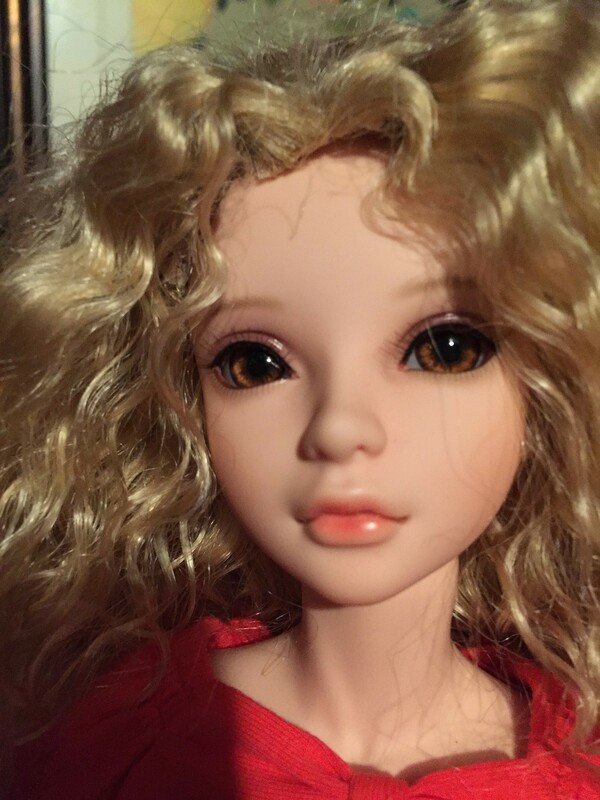 This site reviews dolls- with lots of photos showing how the dolls arrive from the company, their sizes, clothes, quality, with great comments on the appeal of the particular dolls to the writer. 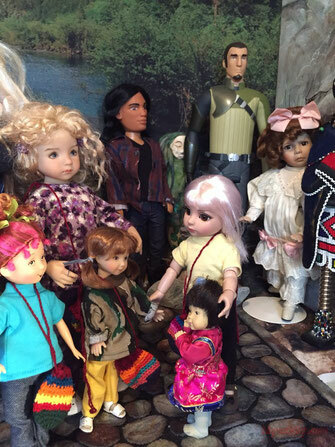 Love a variety of dolls? 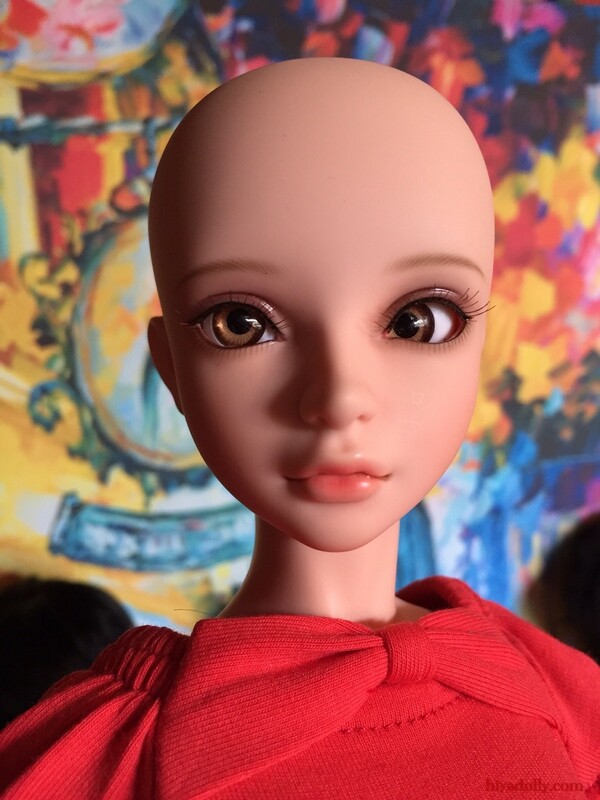 This site has beautiful photos categorized into the different doll brands, and even years. 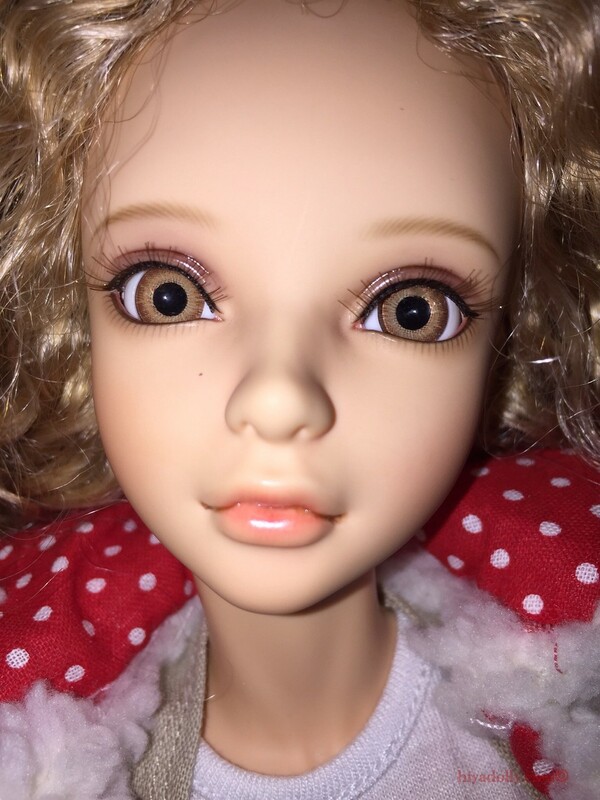 This is s fun site , selling a variety of dolls, bears, doll-like stuff. The site is ordered in several ways-alphabetical, by price, categories, so you can explore in different ways. 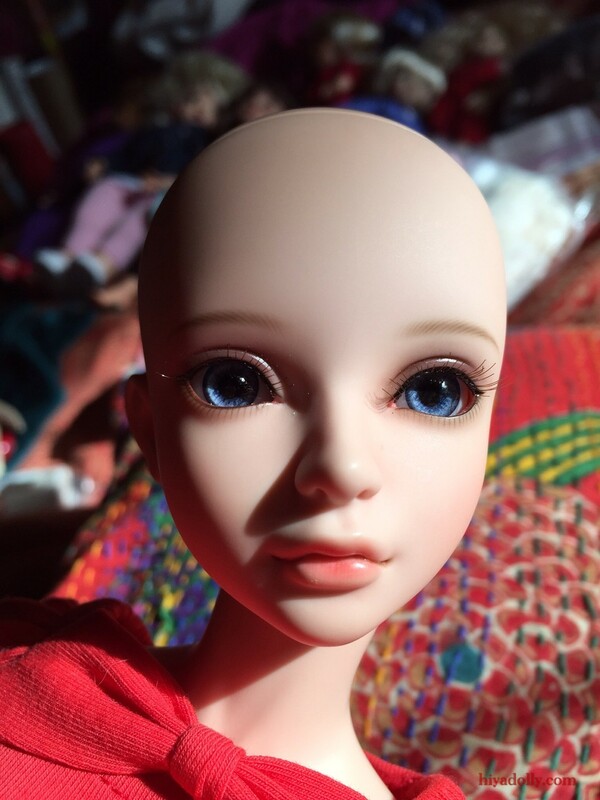 There are people selling, sharing, and making beautiful things for dolls. Robert Tonner is the creative driving force, but he has to have a lot of help because this is a big company. and with data galore...marketing genius.